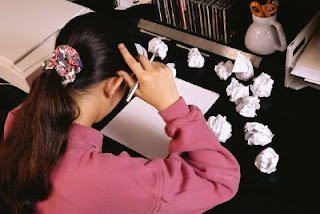 Most students find essay writing frustrating, annoying and an overwhelming task. Just like writing a letter, an essay also consists of three parts which are: introduction, body and conclusion. More often these compositions are written from an author’s personal point of view which describes, argue, analyze, explain or clarify a certain subject. Whatever the purpose it will still have the same basic format. Below are basic steps on how to write essays for school children. First step: Address the topic. Do some researching using the internet, academic databases or the school library. Take down notes. Third Step: After making an outline, plan the sequence of thoughts to synchronize the essay’s order. Fourth Step: Start writing your introductory paragraph. Remember that the introduction is intended to grab the reader’s attention and lead the reader into the topic, explaining what the essay is all about. Fifth Step: Writing the main body. The body of the essay supports and elaborates the main ideas or points made in the introduction. This is the part where you provide the background and important details on the topics aforementioned. Using metaphors, anecdotes and some other methods can give your essay substance. Focus each paragraph on a single idea, expounding your thoughts in the clearest and rational way you can. As most essay writing service experts usually advise, coherence is the key to writing a good kind of composition. Logical, orderly and consistency making sure all parts are clearly connected. Sixth Step: Writing the conclusion. Gracefully end your essay with a short wrap-up sentence or sentences. You may end it with a famous quote that is relevant to your topic or consider linking your conclusion to your introductory paragraph to establish a sense of balance by restating important phrases. Whatever your style in exiting a composition make sure you will persuade your readers to get back and look forward to read your next work. Seventh Step: Proofread. Polish your work by correcting spelling and grammar. Put also emphasis on the flow of ideas, revise, edit and re-read your work several times until it reads just how you want it to be. Essay writing becomes difficult and complicated if there is no focus yet if you follow the basic steps above, you will be surprised that the essay you are working on will go on smoothly, so don’t let the idea of putting pen to paper intimidate nor frighten you. If essay writing is still difficult, feel free to ask to write my paper on DoMyPapers. Be yourself, be original. Now get started!